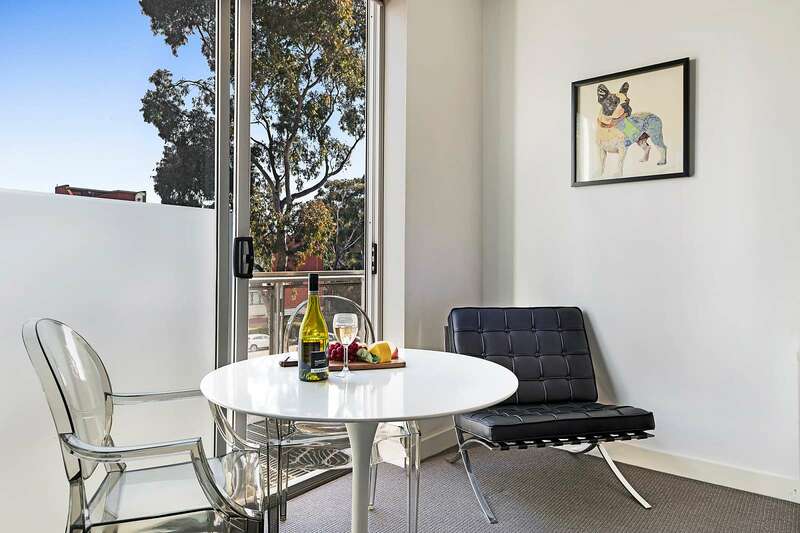 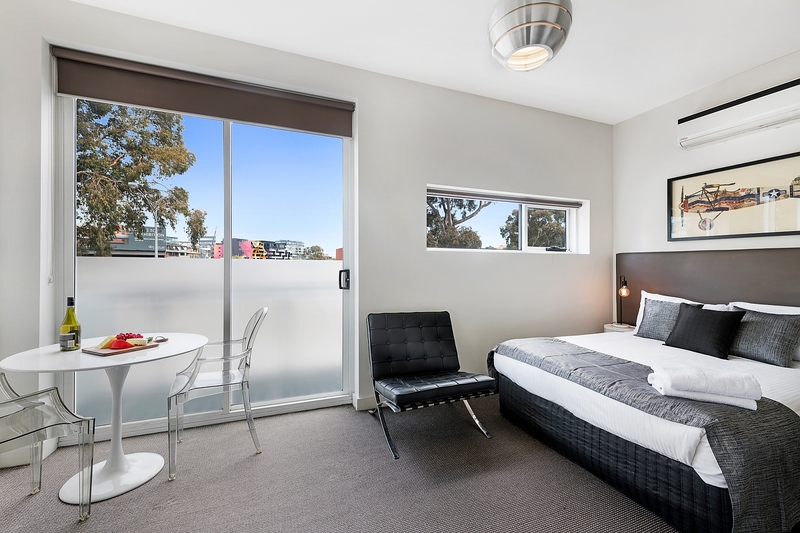 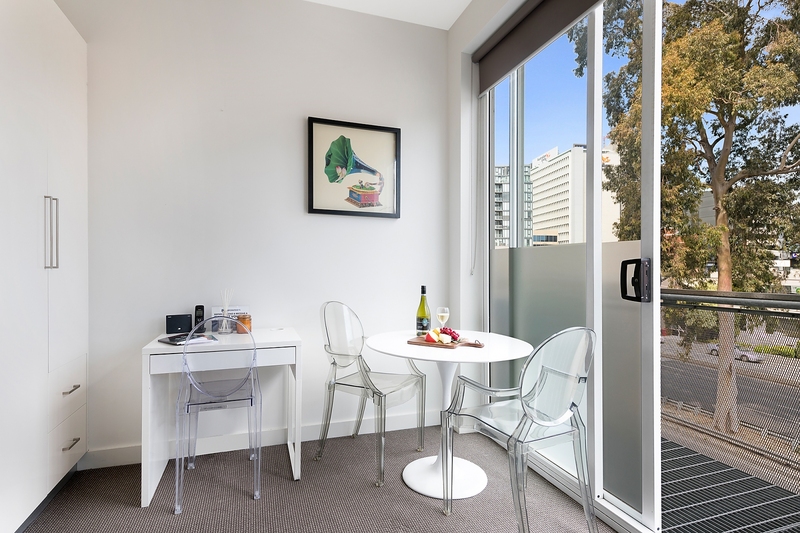 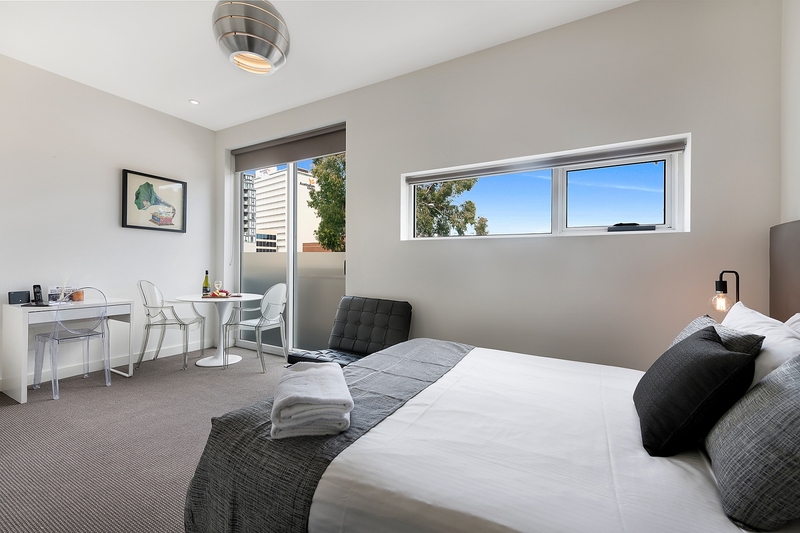 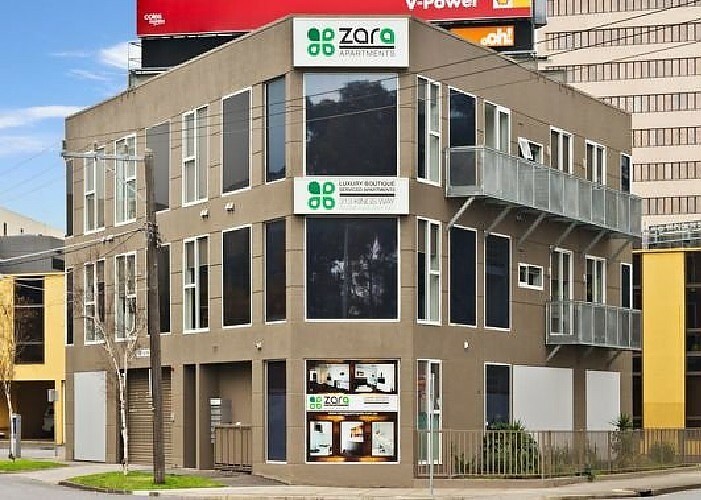 This quality studio apartment with balcony offers affordable urban living set in a popular inner city complex located a short walk to the Botanic Gardens, moments to Southbank and a short tram ride to Melbourne CBD. 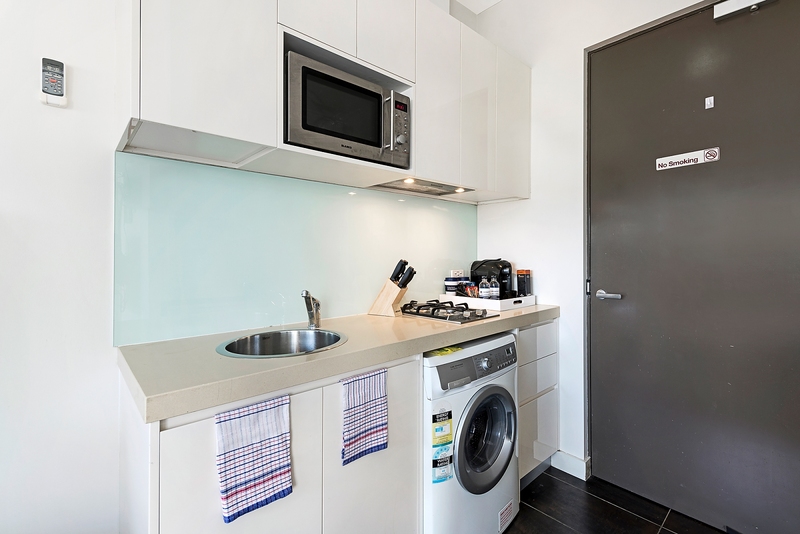 The air-conditioned studio opens to a private balcony and features a well-equipped galley-style kitchen with gas cooking, microwave and washer/dryer. 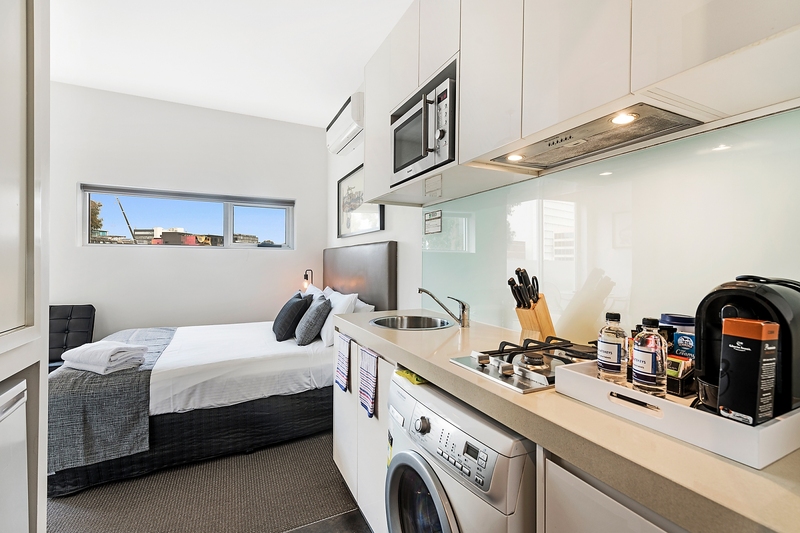 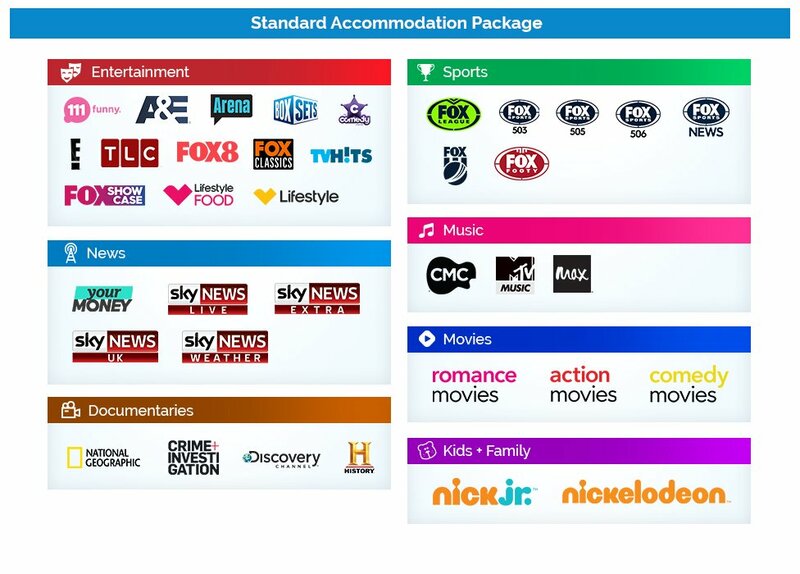 There’s also a 40-inch LCD TV with Foxtel and DVD player, plus an iPod docking station and built-in robe to the carpeted living area/bedroom. 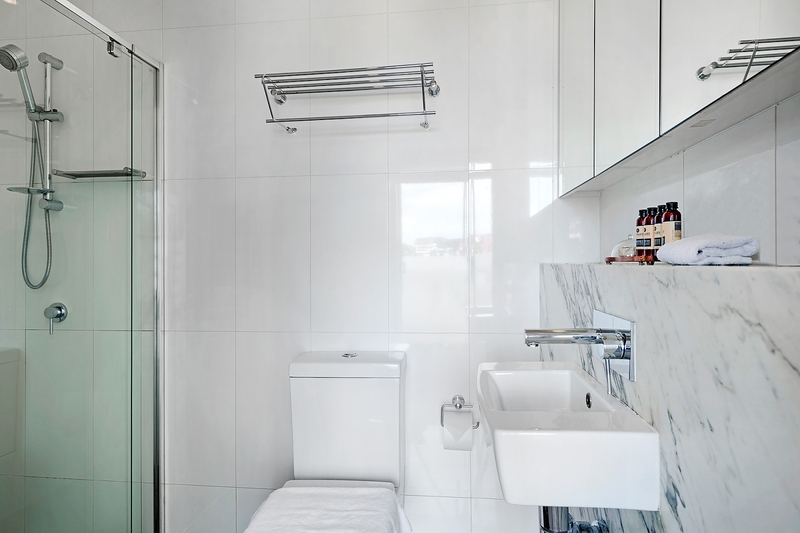 The premium bathroom is a standout feature of the apartment with stylish marble vanity, walk-in shower and mirrored cabinetry. 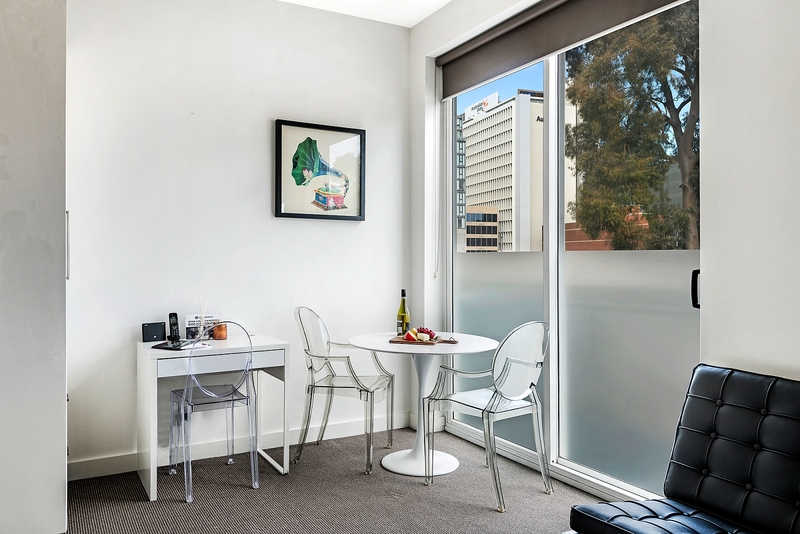 And with an onsite building manager, you can be sure you’ll enjoy a seamless stay in this popular security complex.